Our Earth is made up of four layers, Crust, Mantle, outer core and inner core. The outer layer on which we stand is called crust. This outer layer isn’t made of one piece solid but it is made of several pieces called “plates”. These plates are connected together like a jigsaw puzzle. Their joints are called fault lines. These plates are stuck together like the jigsaw puzzle but they have continuous movement with respect to each other. The movement of plates against each other make earthquakes which happen constantly but we don’t feel their effect because they usually glide smoothly. It is estimated that fastest plate move with a speed of 6 inches per year or 15.2 cm/year. When these plates catch each at some point then the pressure at that point builds up. When the pressure becomes very high then plates suddenly shift releasing very high energy waves that propagate in concentric circles shape and shake the nearby land that causes destruction. Starting place of an earthquake is known as hypocenter and it is below the surface of the Earth. A place directly above the hypocenter is called epicenter, where the strength of an earthquake is strongest. Waves that are produced by an earthquake are called “Seismic waves”. These waves are measured on the scale called” Richter scale”. 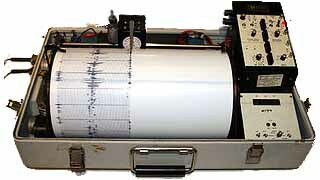 A seismograph is a device used to measure these waves. Larger the number on the scale, stronger the earthquake will be. Each increasing Richter number shows that earthquake is 30 times stronger than the previous number. An earthquake is noticed when its magnitude is 3 or more on the Richter scale, below this number you won’t notice any shake caused by an earthquake. 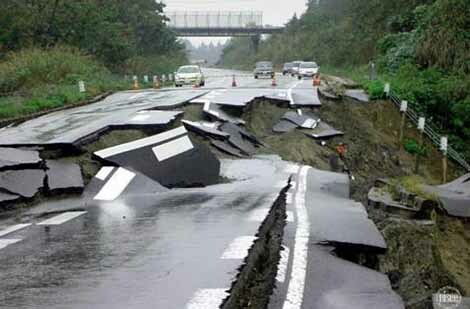 It is estimated that there are 500,000 earthquakes every year but only 100,000 are felt by people around the globe and only around 100 of them cause any damage. Abdul Wahab, "Earthquake," in Science4Fun, April 13, 2019, http://science4fun.info/earthquake/.